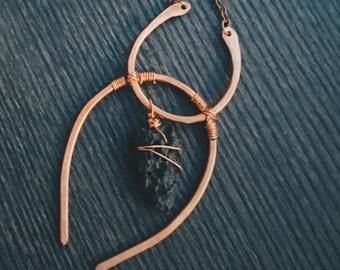 Polished Amethyst sitting inside a hammered Copper Lyre! 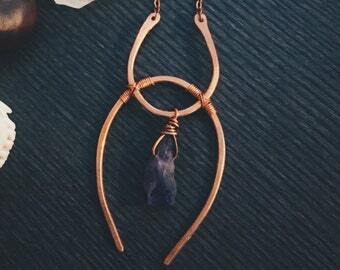 A pretty piece for the bard or bard at heart! 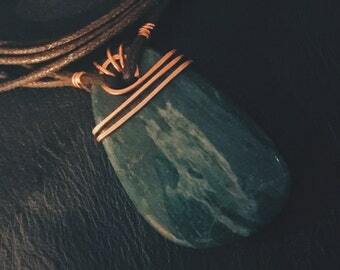 Enchant us with your notes or catch our eyes with your unique taste in jewelry! Antique Skeleton Key and Smoky Quartz Crystal Necklace with a piece Smoky Quartz for decoration! By appearance, this is likely the best Nordic knit bracelet on the market. The knitting is dense whereas that of others is very sparse. The motifs at the end of the bracelet are simple yet elegant so as not to overwhelm the rest of it.My only qualm with the bracelet is that I see small nicks in the ring and s-scroll which press up against each other when fastening the bracelet. I am not entirely sure if this is a result of the pressure exerted on the pieces when fastening the bracelet, so I cannot subtract this from the bracelet's quality. Overall, I am very satisfied with the bracelet and there isn't another Norse knit bracelet which lives up the the beauty and quality of this one. 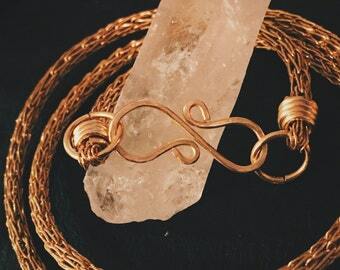 Custom 14k gold fill Viking Knit Bracelet for Kary M.
Great communication! Excellent craftsmanship, just beautiful and it got here so fast! Arrived quickly and is of excellent quality! I especially love being able to adjust the length with ease and the packaging was very professional. Love this piece and the others. Buy all the things!! If I do not receive payment within 24 hours of purchase, I will contact you. If at 48 hours I have not received a response or payment, I will cancel your order. Please contact me directly regarding your specific situation, I assess things on a case by case basis. I use USPS First Class which comes with a tracking number. I, personally, keep track of all shipments till they are listed as delivered by USPS. Message me for any special shipping requirements prior to purchasing items. If your jewelry becomes damaged within the first month, please contact me with a picture of the item and I will assess if it is something that can be repaired. If repair is required, shipping costs to me are your responsibility. A time frame will be discussed for your specific repair. 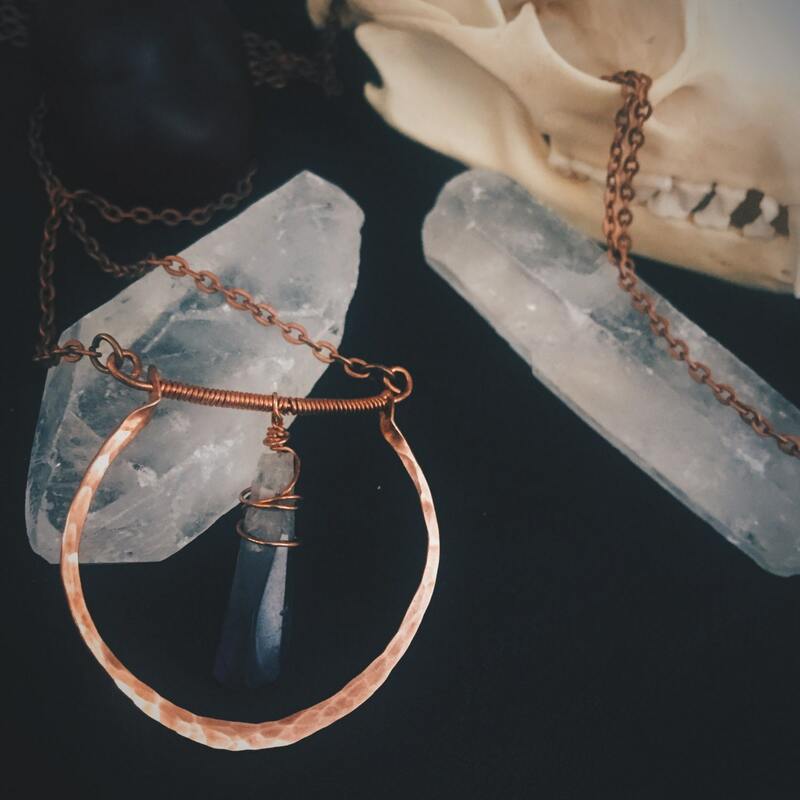 Antique Skeleton Key and Quartz Crystal Necklace with a piece Smoky Quartz for decoration! Antique Skeleton Key and Amethyst Crystal Necklace with a piece Smoky Quartz for decoration!